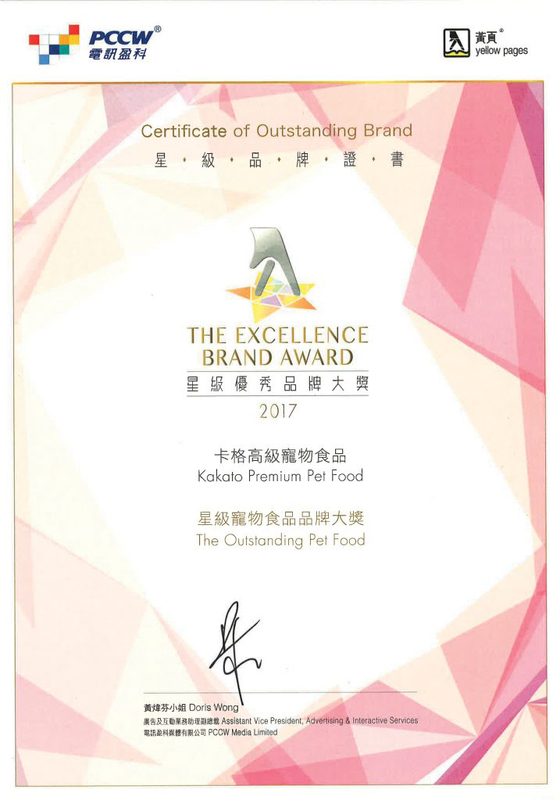 Kakato Premium Pet Food has been awarded “Excellence Brand Award 2017” issued by PCCW/Yellow Pages. Thanks for the long-term support from the consumers. Kakato has always upheld the attitude of rigorous selection of ingredients, the concept of healthy diet and the spirit of caring pet. In addition, to provide the tinned pet food with a homemade concept that is not using flavouring and additive. Kakato is contributing to the pet community through different ways such as setting up the Kakato veterinary scholarship, donating to various animal welfare groups and holding charity events where pets and their owners can participate together.